The France international has been in a contract standoff with Les Parisiens over the past year and he is now within seven months of leaving the club on a Bosman. As such, the French champions are likely to sanction his sale on a cut-price deal at the turn of the year but it appears that Spurs are unlikely to get their hands on the midfielder. According to Le10Sport, the player is said to have informed Spurs that he is not interested in joining them which has thereby alerted the likes of Arsenal and Manchester City. 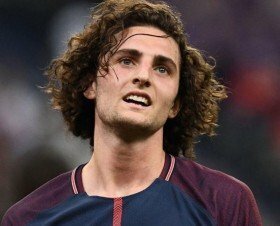 Meanwhile, Barcelona, who are regarded as Rabiot's dream club, could revive their long-term interest for his services in the forthcoming weeks to add to the competition. Rabiot, 23, has made over 200 appearances for Paris Saint-Germain in all competitions since his debut during the 2012/13 season. He has also earned six caps with the France national side.